Millions of low-income children in the United States rely on food support from the National School Lunch Program. But when school is not in session, children living in food-insecure households are at risk of going without the nutritious food they need. Even mild undernutrition can affect behavior and school performance -- children are unable to learn when they're hungry and anxious about where their next meal will be coming from. The Food for Kids Back Pack Program gives eligible children a backpack filled with wholesome food to take home every Friday so they will have something good to eat on the weekend. Research has shown that many children who are eligible for free or reduced-price meals at school do not have access to enough healthy food on the weekend. The BackPack Program was started in response to this need by Feeding America member food banks. 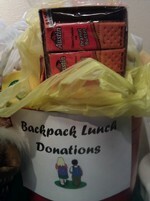 Our ongoing support of the Back Pack Ministry helps supply the needs of LISD elementary school students. 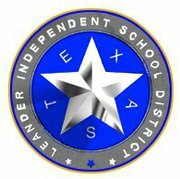 Please remember that the LISD Middle School also has needs as well. The need is great.